The new Air Floor PRO is a bouncier version of the current Air Floor and is not required to be placed on a padded surface. It can be a substitute for Rod Floor or as an all around training aid. The Air Floor PRO offers versatility in a gym, or as a portable station for mobile programs or exhibitions. Each unit includes an electric pump, a carrying bag and a Velcro flap which can be used to connect two or more pieces together creating a longer tumbling strip. 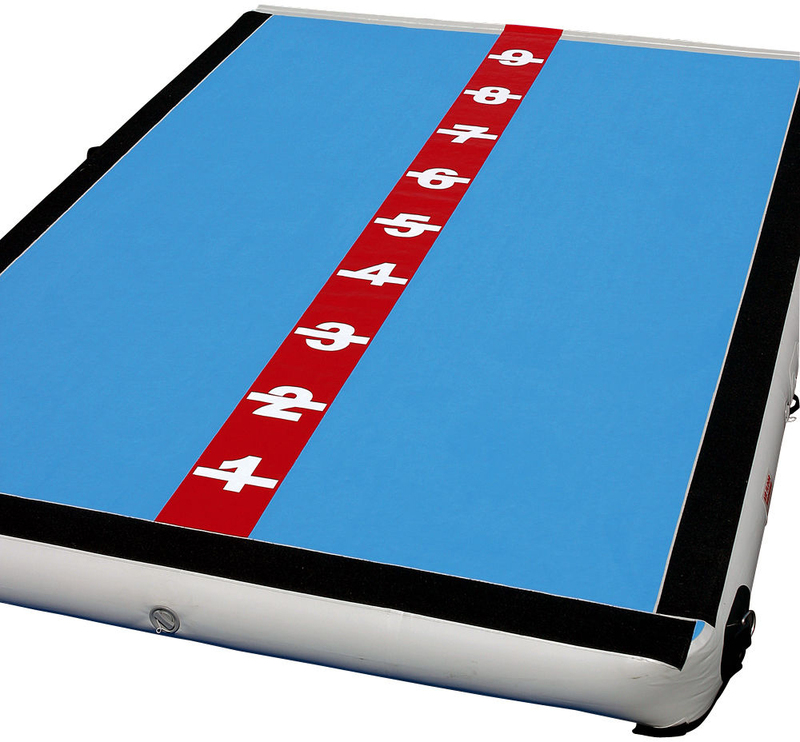 The Air Floor Pro has a center line which can be used as a visual aid for tumbling. 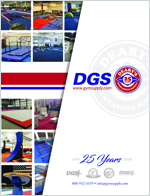 3M units d-rings to easily attach the unit to uneven bars for a bar wall station. Tumbl Trak’s Mini Ramp works well for entry up onto the 8-inch surface. Booster blocks can be used for spotting off to the side. Made in Korea. Designed in the USA.